A cop in danger of losing his badge and a troubled teenaged criminal...each is the other's last hope in this highly unique novel set against the gritty backdrop of 1970s New York City. When thirty-six-year-old Detective Sergeant James Baker finds himself at a dangerous crossroads--facing suspension or even the end of his career--he agrees, under great duress, to an unorthodox therapy: being the acting legal guardian of a convicted juvenile offender. But seventeen-year-old Micki Reilly is not what he expected: she's female, far more violent, and claims to have no memory of her past. Cynical, Baker is determined to be rid of her as quickly as possible while she, full of dreams of a new life, sees him as her only chance. Remaining together out of necessity, they battle each other on every level, the shrouded bridge between them rarely seen and often missed. But the stakes are far higher than what they first appear, leaving both lives in jeopardy--until a tragic decision finally rips away the veil. Fast-paced yet richly layered, Falling Back to One is the story of a man's struggle for salvation and the fragile thread of hope he alone offers a severely abused child. With complex, sharply drawn characters that are flawed, human, and heartbreakingly real, an unusual relationship unfolds, winding its way through unique twists and turns to a riveting and unforgettable conclusion. 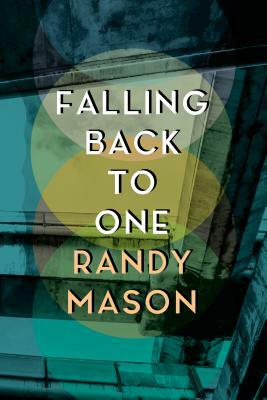 Randy Mason grew up in New York City, where she has lived most of her life. A teenager during the turbulent 1970s, she would escape her own demons by immersing herself in school, music, art, and alternate worlds. While seeking a career as a rock musician and songwriter, she held a variety of jobs. But at age 48, she returned to graduate school and became a psychoanalytic psychotherapist to help others as she herself had been helped. An avid martial artist for many years, she earned two black belts during the course of her training. Most recently, she took up photography. One of her greatest regrets is not pursuing her love of physics. Falling Back to One is her first book.